In today's increasingly digital and overwhelmingly inbound environment, the modern sales professional is in a unique position. Surrounded by, and even supported by automation, you are a human in a world of machines and as a sales associate reaching out to leads through phone and email, you are also one of the few outbound professionals still moving full steam ahead. Businesses still need sales associates to boost customer engagements, start building relationships, and to create real on-paper conversions with each outreach. Unlike social media marketing and blog writing where everything is couched as 'we're here if you need us', a sales associate is there to help leads find the exact products and services they need and close the conversion with a satisfied sale. Of course, these days everything is about statistics. Every time anyone from the company talks to a customer, there's a good chance the interaction will be rated and reviewed almost immediately afterward. These ratings create a shining record of good service for top sales professionals but you could always use more five stars. Here are a few quick tips to improve your technique and leave customers satisfied and happy to have spoken to you. 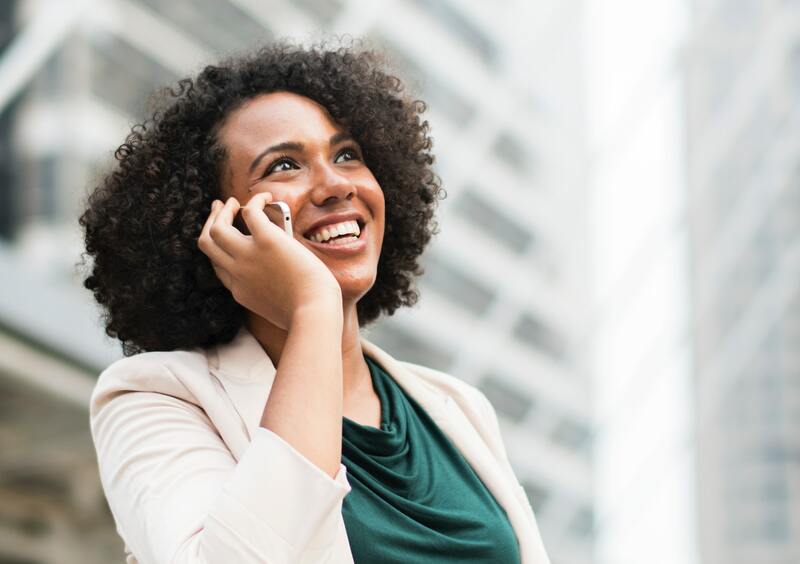 You may take selling very seriously but even over the phone, success is inherently about how well you connect with the other person which means coming at the situation with a smile. You may think that customers can't see you so it doesn't matter, but smiling does more than create an appearance of someone smiling. The way your lips fold back over your teeth and the tone your voice takes when you smile is audible over the phone and you really can tell whether or not someone is smiling by the sound of their voice. If you want to start with a good impression, remember to open with a smile and smile 'at' the customer throughout the conversation. Everyone likes to feel special, as if your call to them is the only one you'll make today and is for a special purpose other than following up on a lead. Your job is not to burst this bubble and there are a number of techniques you can use. While you may be an expert at entertaining customers and making them feel at ease, with the help of modern personalization, you can actually offer them a few special deals or coupon codes specifically keyed to their preferences and browsing history. Use these to enhance your individual work with each customer to make the real difference between you and a robo-call. There's nothing that creates a stronger sense of camaraderie and good will like laughing together. If you can make your customers laugh, you are already over halfway to a great rating at the end of your call. Use stories of other customers or jokes about what it's like on the inside of the company to lighten the mood and make your interaction more personable without presuming friendship. By making the experience more fun, you also associate stronger positive emotions which will influence your ratings. Start thinking of each lead you call up as a potential new best friend. Prepare your brain to learn about them as if you're trying to make a new friend. This will help to improve your demeanor toward them and help you think of every opportunity from the perspective of what is best for your customers. Your concern and friendliness will also come through in the quality of your calls and customers will detect that you really do care about their experience. Even if you never wind up speaking to these people again, being their friend for a moment is great for your technique. 5) Is There Anything Extra You Can Do? Finally, take a page from the customer service handbook and remember to ask if there's anything you can do for the customer before the call is over. Normally they will say no, sometimes they will need transferring to a real customer service tech. But it always shows that you are there not just to close sales, but to truly help the customers.